I have yet to meet Mary Cronk Farrell in person, but we are both convinced we'll be fast friends when we do. She shares my passion for things historical -- what better basis could there be for a friendship? And I am in complete admiration of her for tackling, with grit and grace, a little-written about and powerful slice of American history. Please welcome Mary today! "The temporary nature of safety and the permanence of pain are underlined in this compelling book." One of the first reviewers to write about Pure Grit wrote that sentence above. Every time I read it, my eyes fill with tears. The first few words zing deep in my psyche. They touch what is most tender, and yet most strong. They apply to the ups and down of book reviews, sales numbers, revision and all the rest of the writing life. Many different ideas are underlined, so to speak, in Pure Grit: historical facts of the surrender of Bataan and Corregidor, personal stories of the nurses, acts of courage, endurance of the human spirit, failure to recognize women’s contributions…. Yet, this reviewer picked this particular aspect, which though not stated explicitly in the book, does ask an underlying question. How do we respond to life given its temporary safety and permanent pain? I set out with my own version of that question when researching the book. How did they survive? In December 1941, life was pretty good for these army and navy women. One planned her Valentine’s Day wedding, others shopped for Christmas presents, one was fitted for riding boots, several gathered to play Chinese checkers. Bombs dropped from the sky. 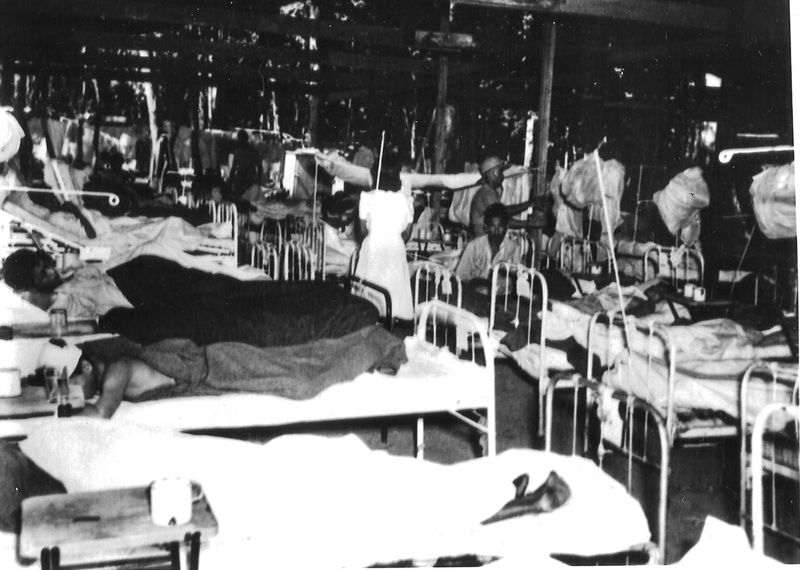 Wounded and dying men overflowed hospital beds onto the floor and the stairs outside the surgery. 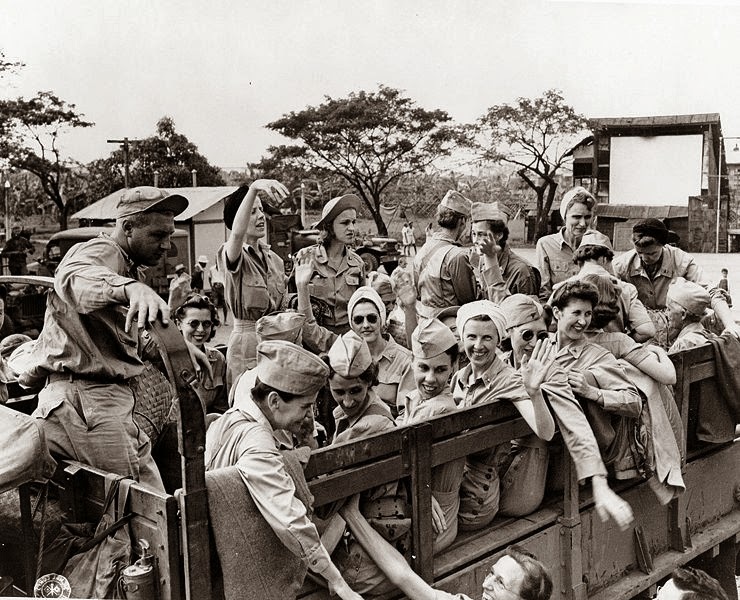 Within three weeks, the women were endlessly giving shots of painkiller, by flashlight, to patients on cots in the jungle, while bombs blasted close, fighter planes buzzed overhead and bullets rattled through nearby trees. The women endured three years as POWs. They faced humiliation, sickness and slow starvation. 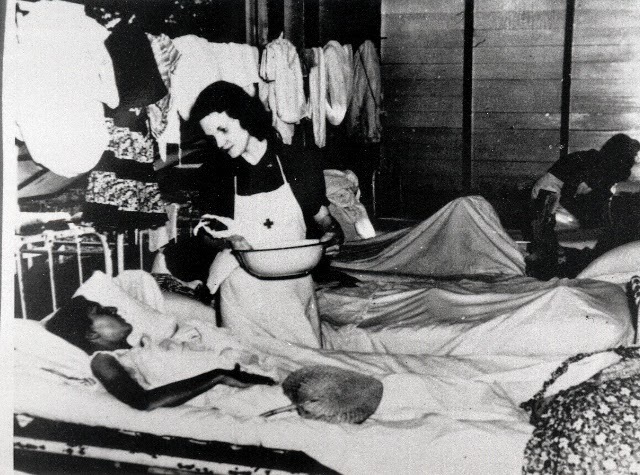 All the while, they worked in the camp hospital treating other prisoners. So weak from hunger, one nurse said she feared when she bent over a patient, she wouldn’t have the strength to rise again. All 67 nurses came home alive. How did they survive? When war ripped their world apart, plunged them into terror, physical deprivation and loss of liberty, how did they find the strength to go on? I wanted the answer to that question. Not because I expect to find myself in a war zone or captured prisoner, but because on a smaller scale, every day, I face the same truth. Safety is temporary and pain is as much a part of life as joy. Here’s what I discovered as I grew to know these nurses through their personal accounts and interviews with people who knew them. They had a purpose beyond their own survival. They had a vocation: both in battle and prison, their role was to care for others. They had an identity. They were U.S. military women. No guard or fence could take that away. And they had each other. The bonds of friendship provided immeasurable support and strength. I find these three: purpose, identity and friendship great tools for responding to life’s uncertainty and sorrow. They help me survive anything this crazy writing life throws at me. Mary Cronk Farrell is an award-winning author of four books for young people and former journalist with a passion for stories about people facing great adversity with courage. Her latest book Pure Grit: How American World War II Nurses Survived Battle and Prison Camp in the Pacific, is in the running for longest title of the year. Her novel Fire in the Hole!­ won the SPUR Award for Best Juvenile Fiction about the American west, and is a Notable Social Studies Book for Young People, Bank Street College Best Book, and a New York Public Library Best Book for Teens. Her journalistic work received numerous awards for excellence from the Society of Professional Journalists and two Emmy nominations. Mary is not only an amazing writer but her interest in historical fiction has made we want to learn more (kind of like you, Kirby.) You have much in common. I know you two will be fast friends. It's ironic that the two of you haven't met. Two of my favorite writers (and people)! Loved reading this.